Amazing opportunity to transform a Hoboken property. 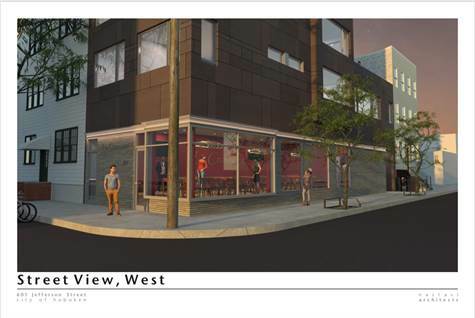 Existing mixed use corner building sold with plans and approvals to construct new 5 unit mixed use building. Consisting of 4 residential units, 3 two bedroom, 1 one bedroom and one commercial unit approved for restaurant use. Property has been mostly gutted. Call Basil 973-919-7225 for more info.